Grand opening of storefront took place on November 17. 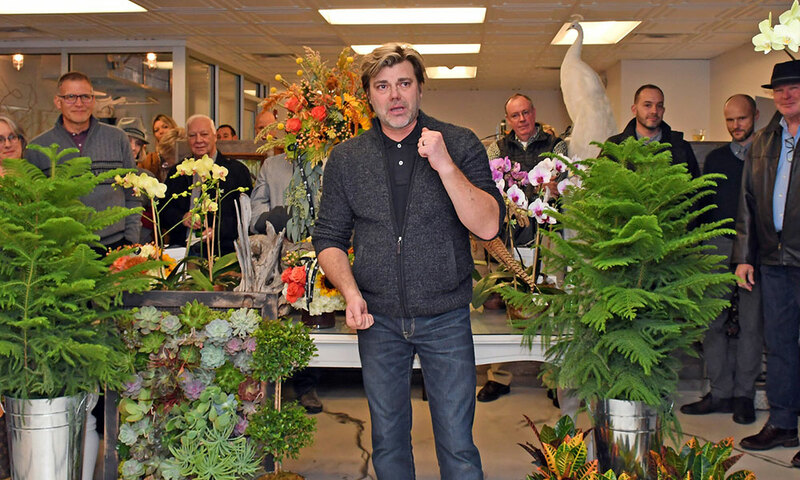 In a bright white room surrounded by perennials, patrons, and a peacock, Saratoga Springs’ latest business owner Sidney Martin, along with Saratoga Mayor Joanne Yepsen, took part in a ribbon-cutting ceremony, officially opening his Simply Sidney Floral Design and Home Accents. The storefront’s grand opening was on November 17. 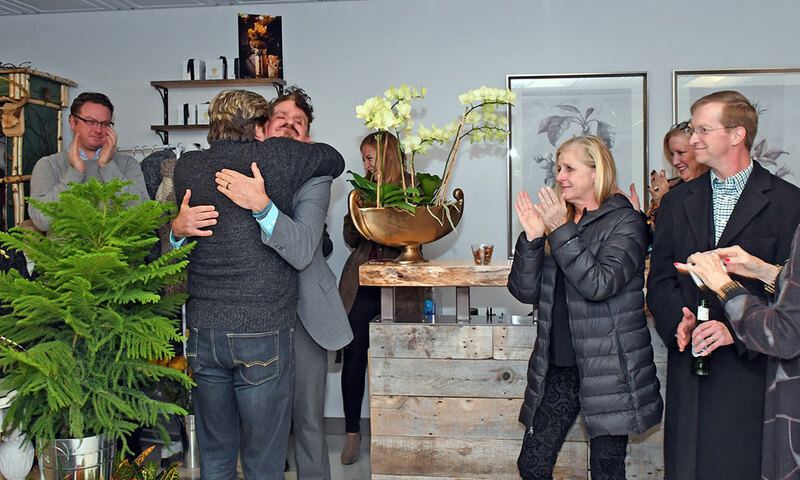 The perennials are self-explanatory: Simply Sidney is a full-service floral boutique, where customers can buy a couple stems of roses, or sit down with Martin to plan out the water lilies for their wedding. The patrons? Seventy of Martin’s close friends and family members, as well as some locals. And the peacock? It’s called home décor. 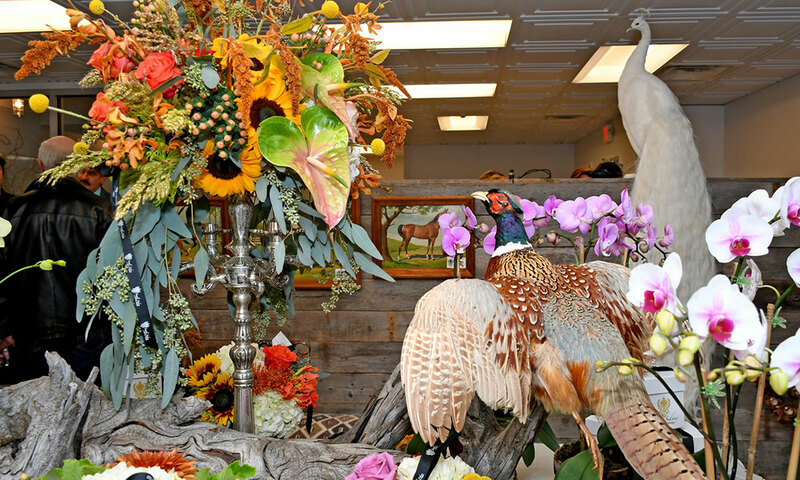 Martin is a florist with a flair for home accents. He got his start in the business sweeping the floor of a mom and pop flower shop in Georgia, where he became the store owner’s apprentice. He eventually moved to Los Angeles, where he first worked for the Beverly Hills Hotel; then, for a corporate event company; and finally, on film and television sets. It would be in the latter field that he would flourish. 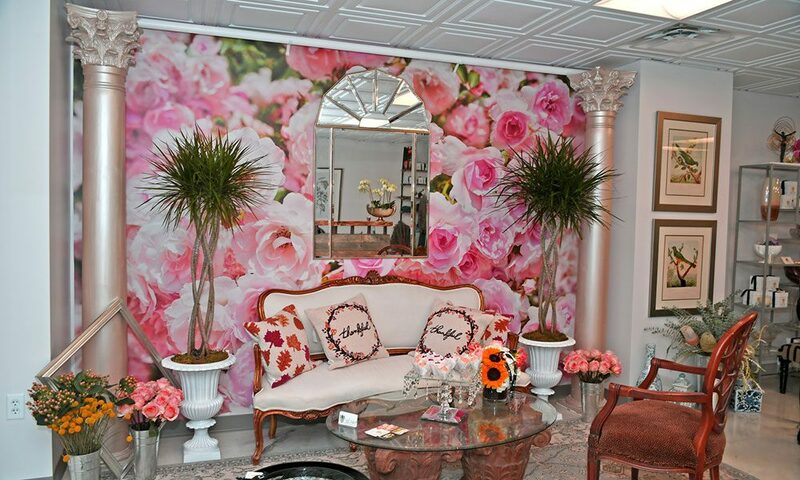 His floral décor can be seen in movies like The Princess Diaries 2 and Monster-In-Law; and on TV shows, such as The Office and Desperate Housewives. After meeting his husband, Tas Steiner, the couple decided to move to Saratoga, which had previously been a vacation destination. Since arriving in Saratoga, Martin’s clients have included Salt & Char, the Adelphi Hotel, 15 Church, and Saratoga Performing Arts Center, as well as multiple other private clients. Martin couldn’t be a better-liked addition to the downtown Saratoga business community. 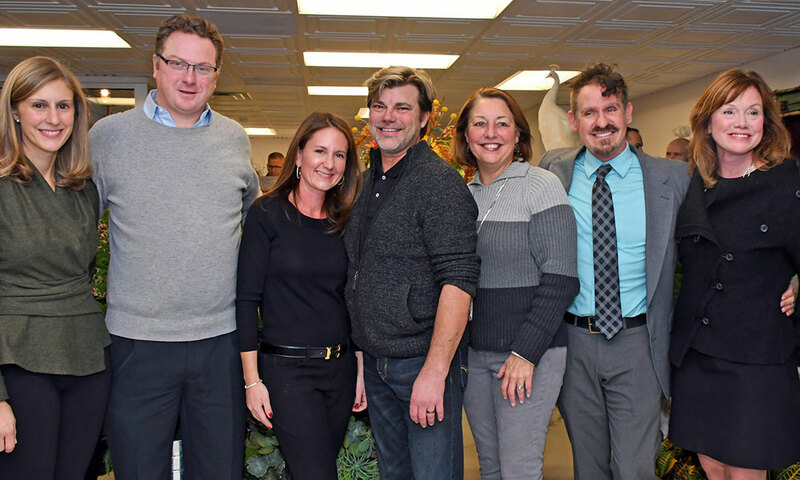 Cara Milde, owner of the Adelphi and Salt & Char, told saratoga living that Martin has a “sunshine personality,” and an affinity for making others happy. Martin’s ideal customer, he tells saratoga living, is someone who knows what he can do and will give him guidelines, but trusts him to create his or her vision. He expects having a retail location will bring Simply Sidney’s business to the next level. Not only will he get walk-in customers, he will also have more space to work on larger projects for his existing and future clients.